FarmVille 2 Country Escape hack is now available for my fellow casual gamers. 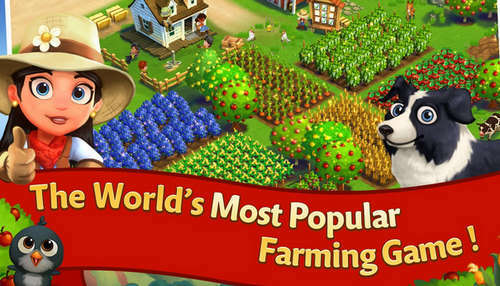 Play one of the most popular farming simulations on the Android market! The gameplay is fairly simple and traightforward. You're given a farm and you get to do all daily tasks farmers usually do. You need to grow crops and harvest them along with other resources like plants and animals. You also have to grow your business by making and selling farm products like cheese and flour. As you'll be playing using the mod apk of FarmVille 2 Country Escape you get to focus on the farming aspect of the game and less on getting keys or coins. Those are embedded within the game so you won't have to do anythng special to activate them! ALL NEW EVENT: The winds are picking up for the intense Kite Festival! - Ready your farm for Glider Glenda and the Plumed Peacock! - WIN Propeller Pup, the windswept dalmatian, permanently! We update the game on this same page, so hacks vary from version to version, version 10.8.2694 doesn't have unlimited coins, only keys! Didn't work.....could not open file? ?